In the old days, many people used to talk about lubricity. However, instead of referring to it as they should, they thought lubricity was referring to the thickness of the fuel or to its viscosity. In reality, the lubrication properties are related to its components that stop the wear and tear of colliding surfaces. So, it served to reduce friction. As everything in life, the lubricity of diesel fuels changed their components throughout the years. If just some years ago they had some components that allowed the engine to have certain performance, the rules of the market changed. Due to the changes in the regulations of both the European Union and the United States, sulfur, one of lubricity main components, had to be removed. The result is that the cars we have now in the market have fewer lubrication properties than the older ones. However, cars still need lubrication. And this is where the diesel fuel additives appear. One of the main advantages of using a diesel fuel additive is the fact that it prevents the excessive engine gear. So, you can have your car last a lot more miles and not giving you so many maintenance costs. Diesel fuel additives have many advantages. They don’t only allow you to have a better performance as well as some can even help you reduce the MPGs (miles per gallon). But not all diesel fuel additives are the same. You need to take several factors into consideration before you decide what’s best for your car. How To Choose A Diesel Fuel Additive? Usually, when someone thinks about getting a diesel fuel additive, they’re only thinking about saving some bucks. However, there are a lot more things that you need to take into consideration. One of the main problems, when you’re looking to choose the best diesel fuel additive for your car, is that there are too many different products on the market. However, they aren’t all the same. And the priciest isn’t always the best. In order to choose the best diesel fuel additive for your car you need to be able to answer some questions. When you do answer them, it will be much easier to decide on which one is the best for you. The first questions you need to ask yourself are regarding your goal. What are you trying to accomplish when you get the diesel fuel additive? You may be looking for consumption reductions, emissions reductions, cleaning up the engine or even to deal with the regulatory rules that are imposed. – How the diesel fuel additive works. It can create a physical reaction with the fuel itself (which is what you should aim for) or it might be a chemical reaction. If this is the case, you need to watch out because the reaction may be negative and you may encounter a lot more costs. – After looking at the manufacturer’s ingredients list, you need to make sure that they won’t be going against your goals. For example, if you want to improve your engine performance, there are some ingredients that besides doing this, they will also have the disadvantage of sending harmful emissions at the same time. And due to the regulations, this is something that you should try to avoid. – One of the best things is always to look at what other people feels about using the diesel fuel additive in their own cars. You just need to make sure that you have an overall perspective. For example, if you have an older car, you should look at reviewers who also have older cars just like you. In case you have a new model, check for those with new models as well. The same product may work amazingly well in some cars and bad on others. With so many questions and without any answers, we decided to help you out on this difficult decision. After all, you want to take advantage of your car, and if possible, reducing the costs and increasing its performance. One of the most important factors that you need to take into consideration when you’re looking for the best diesel fuel additive for your car, aside from your goals, is the diesel fuel additive reviews. Looking at the different fuel additive reviews and diesel fuel additive comparison charts, you’ll be able to discover the best product for your car. – Approved by many OEMs like Ford, GM, Navistar, and Deere, the Stanadyne Performance Formula Diesel Fuel Additive is one of the best diesel fuel additives on the market. – According to independent testing, it was proven to be one of the best performers. – Restores and increases the horsepower while reducing the fuel consumption. – With the cetane improver, the engine will start better, will make less noise, and the car will run more smoothly. – It stabilizes the fuel because it will prevent the fuel to form gums formed by oxidation. – According to some diesel fuel additives reviews, this additive may cause the turbo to spool up even at low RPMs. – this stuff reduces mileage and creates soot! My turbo spools up even at low RPMS. Although the Stanadyne Performance Formula Diesel Fuel Additive may cause some problems to some users, the vast majority claims that its very effective and the results are amazing. So, we can consider the Stanadyne Performance Formula Diesel Fuel Additive as the best diesel fuel additive in the market due not only to its numerous features as well as to all the people who have been achieving great results when using it. – Since it is able to neutralize the low sulfur fuel problems, the Lucas 10013 Fuel Treatment not only cleans as it lubricates the fuel system at the same time. 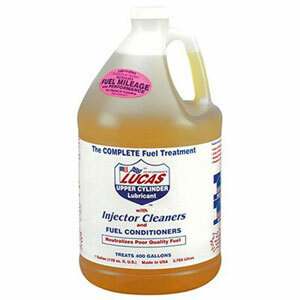 – When you use the Lucas 10013 Fuel Treatment, it will burn the excess exhaust emissions. The result is that you will notice an increase in the power and miles per gallon. – When looking at the Lucas 10013 Fuel Treatment in a diesel fuel additives comparison chart, you’ll see that it will also help you increase the life of injectors and pumps. — It doesn’t work for every car. You need to make sure that you know the year, make and model to see if it fits. – Some reviewers claim that they don’t see ant real difference in MPG. – They should include a measuring bottle to make it easy for people to use the right portion of this diesel fuel additive. There’s no doubt that Lucas diesel fuel additive is one of the best in the market. Lucas diesel fuel additive is mentioned all over the Internet and not only newbies as professionals claim it to be one of the best diesel fuel additives. With many different advantages from increasing the motor power to cleaning and lubricating the fuel system at the same time, you still need to make sure that this is the right product for your car. Motors vary as well as the motors and their specifications. So, making sure that this will suit your car, you can rest assured that this is the best diesel treatment your car will get. #3: Hot Shot’s Secret P040464Z Diesel Extreme Clean and Boost – 64 fl. oz. – It stabilizes the fuel and boosts cetane. 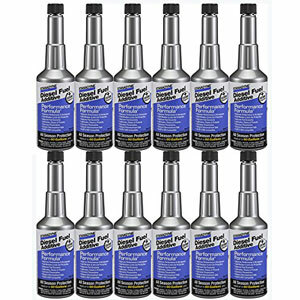 – The Hot Shot’s Secret P040464Z Diesel Extreme Clean and Boost cleans out the tank, lines, and injectors, and at the same time, coats both the tank and lines with a corrosion and rust inhibitor. – It removes free water from the system. – It provides a complete diesel treatment by lubricating the injectors and fuel pump. – Some people didn’t notice any difference in their injectors and still had to replace them. The Hot Shot’s Secret P040464Z Diesel Extreme Clean and Boost allows you to achieve more performance and power in your diesel car. When you look at a diesel fuel additives comparison chart, you’ll be able to see how complete this product is. It allows you not only to have a much lower maintenance cost as well as it increases the mileage at the same time. 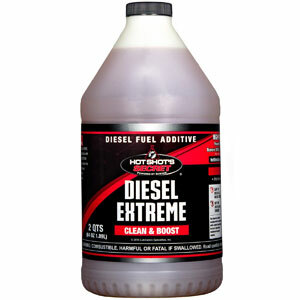 One of the main benefits of the Hot Shot’s Secret P040464Z Diesel Extreme Clean and Boost is the fact that your diesel engine will be much cleaner. Despite some people who already used this product didn’t notice any particular difference after using it and still had to replace their injectors, the fact is that it all depends on the how bad the injectors are when you’re using the additive. – It doesn’t only stabilize the stored fuel as you’ll notice that you’ll be saving money with the fuel itself. – It prevents the injector to stick as well as it cleans dirty injectors, even on HPCR (High-Pressure Common Rail) systems. – Since this diesel treatment also includes cetane, this will help your engine to run smoother, with a faster colder start, and it will boost power. – The Power Service 03128-04 Diesel Kleen with Concentrated Cetane Boost Formula also includes a powerful lubricator that will protect your injectors and pumps from accelerated wear and will prevent any oxidative or thermal breakdown of the diesel fuel. – You need to make sure that you use the right amount of the product for your tank. You can even use google converter to make sure you’re using the right dosage. 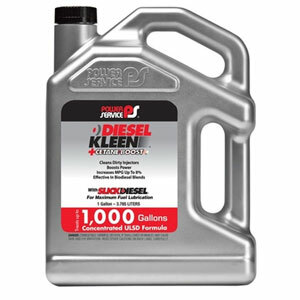 The Power Service 03128-04 Diesel Kleen with Concentrated Cetane Boost Formula is a complete diesel treatment that will help you not only to clean and preserve your injectors and pumps as it will also bring benefits to the fuel itself. All this together will allow your motor to run smoother, more powerful, and with a reduced cost of fuel. You just need to make sure that you look closely at the label to know the dosage you should use in your car. – The Rev-x DIS1601 Distance + Fuel Additive, 16 oz boosts the fuel performance which will allow you to save money. – When you’re using it, you’ll notice the improvement on the cold starts as well as the toxic smoke and exhaust emissions decrease. – The ingredients of this additive will help with the lubrication and the corrosion protection. 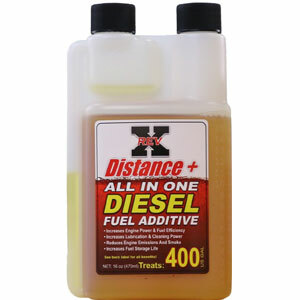 – The Rev-x DIS1601 Distance + Fuel Additive, 16 oz is specially designed for the summer months. – Some reviewers state that they didn’t see any results in mileage, performance, or start-up. Overall, this diesel treatment is also one of the best in the market. It allows you to protect your injectors and pumps from corrosion, includes lubrications, and you’ll be able to notice the differences in most cases. You’ll see that your car will run smoothly, it will have a better startup, and you’ll also notice the difference in the mileage. Even though some reviewers weren’t happy with the results, this doesn’t mean it won’t work well for you. You just need to take a look at the reviews and see that the vast majority of the people who tried it liked it and will continue to use the Rev-x DIS1601 Distance + Fuel Additive, 16 oz. More and more people are attracted to start using a diesel fuel additive. Sometimes they just heard a friend saying the amazing results it got from using it, other times it’s the makers who suggest them to start using additives. In either case and as you already know, not all diesel fuel additives are the same. And if some can work very well in one car, they might not be suited for another. So, it really pays off to know exactly what you need from the additive as well as to see what additive gives you all that you’re looking for. – More Lubricity: Lubricity is one of the most important features of an additive. It’s what allows you to preserve your injectors and pumps running without problems, as well as it also increases other fuel system components longevity. – Increase The Cetane Level: When you increase the cetane level, you are making the fuel more efficient and increasing the performance of your car. Despite you may not always see the difference at plain sight, some people notice an increase in the fuel economy in several MPG. – Cleaning The Fuel System: The diesel fuel tends to accumulate a lot of residues that can bring problems in the future like clogging filters, among others more severe. So, making sure that you have an additive that will help you clean these residues will save you a lot of money in maintenance. – Stabilizing The Fuel System: When the fuel is stored for long periods, it may start to deteriorate. Algae start to grow, water starts to appear, as well as other forms of contamination. When you use an additive that has a stabilizing feature, this will help you to avoid, or at least reduce, this problem. – Anti-Gel Formulas: When you live in a cold area, you probably already tried to start your car and the engine didn’t run. This happens due to the cold temperatures that also affect the fuel. When you’re using an anti-gel formula additive, it will act as an anticoagulant, preventing it from happening. With so many different diesel additives in the market, not all of them have all these benefits. They can provide you with any combination of these benefits or some of the best additives can even include them all. It all depends on the car that you have as well as on the specific goals you have. Having a good perspective on what other people who already used the additives is also something to take into account. Despite there are no guaranteed results because there are many different variables, the additives mentioned above are the top 5. 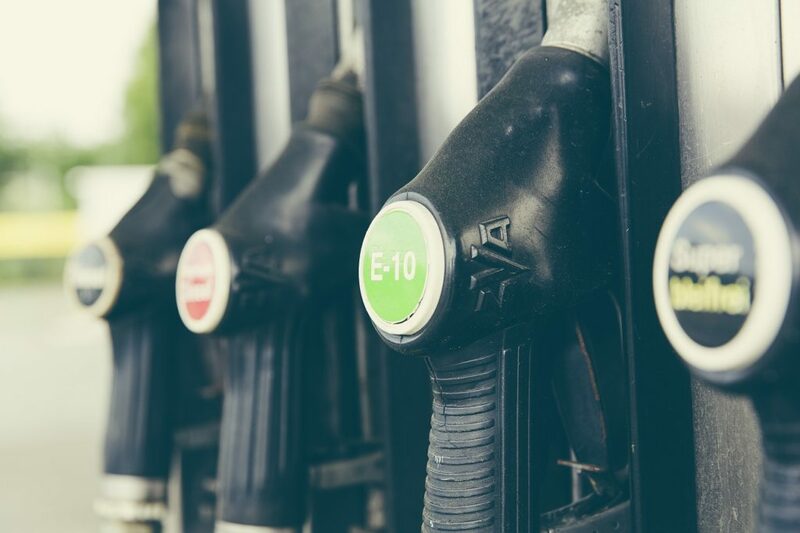 In case you still have any questions regarding diesel fuel additives, make sure to read more about top diesel fuel additive before you make your final decision.